Pickup time is always pretty hectic, especially when the fate of one of your favorite shows is up in the air. This list will tell you everything you need to know – what shows are cancelled, what shows are renewed, what shows are safe, what shows you should worry about … it’s all here. Now, aside from the “cancelled” and “renewed” lists, these are just guesses based on ratings, cost and the network the show is on. Some networks are a little more patient while other networks are a little too eager to cut huge chunks out of their lineup. This list is current as of February 25, 2013 and will be updated as cancellation/renewal news breaks. Any changes will be underlined so they’re easier to pick up. The shows on the following list have already been officially cancelled. While all hope is pretty much lost for these shows at this time, there is always the very, very slight possibility that another network will pick the show up. I would like to emphasize the “very, very slight” part of that statement as this very rarely happens but no, it is not impossible. Just ask Cougar Town. Do not even get me started on how pissed off I am about no fewer than four shows on the ‘already cancelled list’. 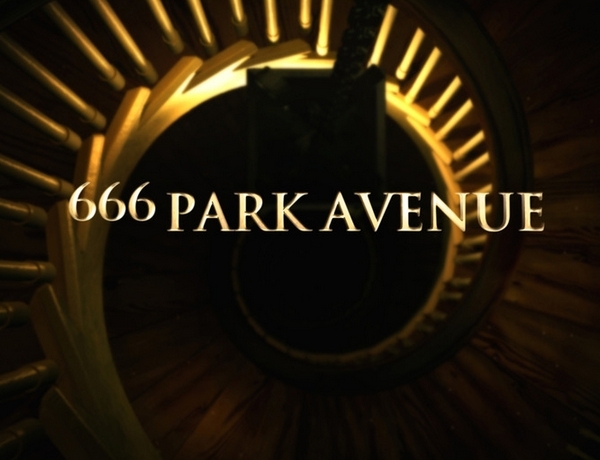 I was fairly agitated when 666 Park Avenue was yanked just as it was finally starting to go somewhere. I was annoyed when Don’t Trust the B met the same fate. I was down right angry when Emily Owens got the ax but Last Resort? I was nearly homicidal when that news came out. I suppose that really softened the blow of 666 Park Avenue‘s cancellation. I couldn’t be appropriately angry over that one when I was busy losing my mind with pure, fire-spitting rage over Last Resort. What the hell is wrong with you, ABC? I bet you have all sorts of great shows planned for the coming season. I won’t be tuning in though. Not a chance. Why bother when you pull shows before they even have a chance. Perhaps this goes without saying, but I’m still a little sore over that one. *Update (March 2, 2013): The CW has officially cancelled 90210. The series finale will end May 13, 2013. While the shows on the following list have not officially been cancelled, it is really only a matter of time before the announcement is made. This is not guaranteed. In the past, some shows have survived “certain to be cancelled” status but it’s very unlikely. If you’re a fan of any of these shows, as I am, you may want to make peace with their possible departure. *Update (February 28, 2013): Lots of changes to update with this week. It’s bad news for Cult as the CW’s new drama continues to pull abysmal numbers and it moves from ‘likely to be cancelled’ to ‘certain to be cancelled’. I’m not surprised by this considering the terrible ratings the pilot episode got but I hoped it would linger on the likely list because at least then there would be hope. Cult isn’t as good as I was hoping it would be but I thought it had enough potential to make it worth sticking around for. It was an ambitious show, splitting it’s time between the action happening on the show and on the show within a show. Unfortunately, I think it could’ve been done a bit better. I often found myself more interested in the fictional show within a show than the show itself which was a problem. It’s especially sad news because I adore Matt Davis, who you may remember as Alaric on The Vampire Diaries. At least Taylor Kinney (Mason Lockwood) and Stephen Amell (Brady) have proven there is life after TVD with their shows, Chicago Fire and Arrow respectfully performing very well in their first seasons. I’m hoping Matt finds something new very soon. He’s far too talented to not be on my television screen every week. Let’s remember though, The CW is notoriously unpredictable so there may be some kind of hope for Cult. Sadly, that hope is very, very dim. Also making the move to the ‘certain to be cancelled’ list is the perpetually struggling Happy Endings and the similarly underrated Touch. Happy Endings is a great series but honestly, I’ve been prepared for this one for a while so that sort of softens the blow. Happy Endings was a surprise renewal last season so seeing it pop up on this list again isn’t surprising. While it started strong, the news has just gotten worse and worse. With viewers jumping ship, there is little hope this one will make it back. The same can be said for Touch but without the ‘started strong’ part. Fox screwed around with this one so much it was hard to follow when it would be airing, then it kept it off the air for several months and brought it back on Friday nights. 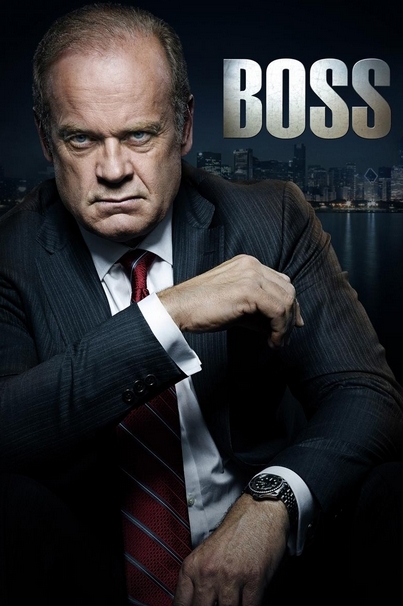 I have no idea what Fox has against this show but airing it so sporadically, holding back it’s season two premiere and moving it to Friday nights was so ill advised on all fronts, I have to assume they were trying to kill it. Nothing else makes sense. It’s a shame too. The first season had some pretty big problems but they seemed to have worked that out in the second season. The show feels more cohesive and I’m enjoying the show far more than I did. Too bad the ratings have all but guaranteed this one won’t be sticking around long enough for more people to tune in. It’s also bad news for Smash and The New Normal and honestly, I’m kind of okay with both of these shows taking a bow. I really wanted to like The New Normal but it just seemed to forced and although there were some genuinely funny moments, it just tried way too hard and took itself way too seriously. The cast is fantastic but it wasn’t enough to keep me tuning in. I dropped out on this one a few weeks back and haven’t looked back. Smash is a bit sadder for me. All of the elements were there for a great show – a unique, interesting story, a stellar cast with tons of talent and some great music numbers but it just didn’t come together. I think with a different team handling the show it could’ve been a stand out instead of a show I’m only sticking with out of loyalty to the cast. It’s a shame Jennifer Hudson signed on to co-star in this sinking ship. And finally, last but not least, we add Vegas to the ‘certain to be cancelled’ list this week. This one is a heart breaker for me. I cannot for the life of me understand what went wrong with Vegas. The cast is awesome. The story is interesting. I will admit the first few episodes were a little slow but it picked up significantly after that. Sadly, I think this is a case of “too little too late”. It’s a real shame too. I think this show could’ve gone somewhere really interesting. *Update 2 (February 28, 2013): While I was writing this post, something interesting happened. The CW has announced that starting March 8, Cult will air on Friday nights. This is fairly bad news for the dead in the water series unless the move helps it find its footing and attract new viewers. We really won’t know what kind of impact this will have until the ratings come in for its Friday night debut but in my opinion, there are only three possibilities, the show will hold steady with its ratings and continue gasping for air, the ratings will drop even more and the show will be lucky if it gets to air the episodes already completed or the ratings could rise and the show will escape cancellation. I have my fingers crossed for the latter. *Update (March 2, 2013); Zero Hour has officially been pulled from ABC’s schedule but it has not officially been cancelled. It’s certainly not a good sign though. Getting pulled from the air after only three episodes almost certainly signals the end of the series. Moving on to slightly more sunny news, but still not all that sunny, these shows have turned in numbers that make it unlikely we’ll see any good news when renewal time comes. It’s a real shame this year. There are some great shows on this list and even the ‘certain to be cancelled’ list. That isn’t even counting some of the heartbreaking cancellations we’ve already had. If you love any of these shows, start watching now. All hope isn’t dead for these ones yet. A last minute boost in ratings may help convince the network your favorite show needs more time. I’m also pretty bummed out to see Deception on this list although I expected it. Deception is widely considered one of the biggest flops of this season so I didn’t expect to see it stick around but I am sad the it didn’t do better all the same. Bubble shows are difficult because they really could go either way. It’s a total toss up. Some of my favorite shows were on the bubble last season. Some made it and some did not. At least one that made it last year is back on the bubble again this year. Hopefully the network will have faith and keep it around. Fingers, toes and eyes crossed! I hate to admit this is ways you can’t even begin to understand but I really like Malibu Country. I think it’s predictable and the performances are sometimes painful to watch but I’ve been enjoying the show so far. I won’t cry if it gets cancelled. I probably won’t even miss it all that much but I still enjoy it when it’s on. I’m a little more nervous about Community, Hart of Dixie and Go On – three of my absolute favorite comedies on television. Hart of Dixie was on this list last season and I’m pretty concerned to see it back. I hope it makes it through. I need to see another season of Rachel Bilson, Jamie King, Cress Williams, Wilson Bethel and Scott Porter. Even so, I think I’m probably most worried about The Following. I’ve really gotten into this one. I think it’d be an absolute shame if the show’s ambition wasn’t rewarded with a second season. I could see this one really going somewhere interesting. Now, I’m a little torn on The Carrie Diaries. I watched the first few episodes but dropped out around the third or fourth episode. I suppose I enjoyed what I saw for the most part but in all honesty, there was just so much else on that this season, I really needed to be able to get into a show to tune in every week. I’d still hate to see it cancelled. 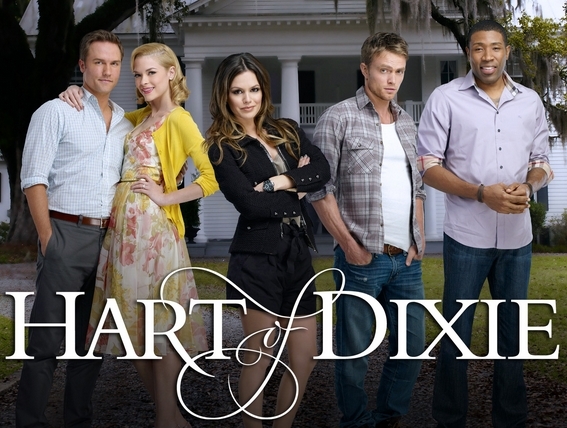 The cast is talented but if it comes down to The Carrie Diaries or Hart of Dixie, my choice would be Hart by a landslide. *As I mentioned above, there were a few changes between the time I wrote this article and the time I published it. This one is a change for the better. The Following has been removed from the bubble and added to “likely to be renewed”. This excites me. The move is credited to an upswing in the ratings. Absolutely fantastic move. I hope it gets to stay there. Finally! Some good news! The shows on this list are considered likely to be renewed. Here’s the bad news though. In the past, shows that have been on the “likely to be renewed list” have actually been unexpectedly cancelled. This usually happens with more expensive television shows that don’t have especially great ratings. Even so, such things are usually taken into account when TV By the Numbers comes up with these lists so it’s very unlikely that the shows on this list will be axed – not impossible, but very unlikely. I have to admit, this is one of the lists that causing me the most stress. Likely does not mean certainly and it freaks me out to no end to see Elementary on this list. It should be on the ‘certain to be renewed’ list. Why isn’t it? Ah! 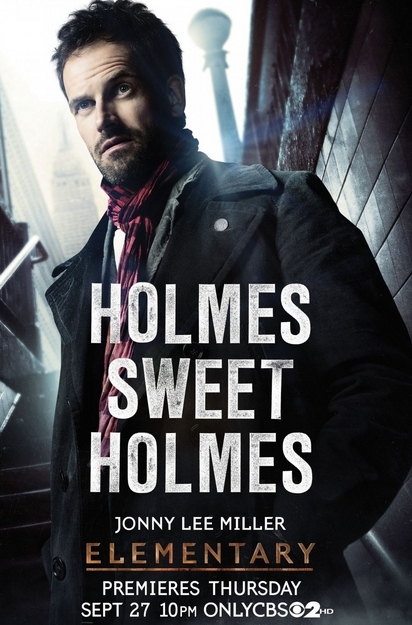 If Elementary gets canned, I’d so done. I’m not sure what I’m done with, but I’m done. Is it a bit predictable? Sure but I couldn’t care less. This is definitely a tough year with a lot of great shows but Elementary is one of the best newcomers and it deserves a second season. Furthermore, Revenge and Suburgatory should also be able to garner a little better than a ‘likely’ but out of all the shows on this list – or in this article as a whole, I’m most concerned about Elementary. This is the good news version of the “certain to be cancelled” list. Here we have a list of shows that haven’t officially been renewed yet but it’s only a matter of time before the announcement is made. Whether or not a show winds up on this list depends on a wide variety of factors but breathe easy. If you’re favorite show is on this list (as some of mine are), it probably isn’t going anywhere. There are a lot of shows I’m excited to see on this list. Chicago Fire and Nashville were two of my favorite shows this fall season and neither really got off to a great start. As the season wore on though, their numbers picked up and they moved to the list I wanted to see them on. Granted, I’d rather see them on the ‘already renewed’ list but I suppose that would be asking to much. It’s also good to see Raising Hope, Parenthood, Once Upon a Time, and Person of Interest doing well enough to cement another season but the real gem for me here is Scandal. I wasn’t sure how it was going to do after it’s frustratingly short first season but I love the direction it’s headed in. It’s one of the shows I look forward to every week. I’m looking forward to moving all of these ones to the ‘renewed’ list soon. I have to admit though, I thought Revolution was a massive let down. Despite a steller cast and an interesting premise, I bailed about halfway through the first half of the season. I’m sure a lot of people will be happy to see it come back. I’m just not one of them. Let’s wrap this up with the best news of all. All of the shows on this list have officially been renewed for another season. Some of these announcements came shockingly early but regardless of the timing, you have at least one more season to enjoy with all of the shows on this list. Many of my favorites are here. I hope yours are too. Luckily for me, one of my new favorite shows and a few old standards have been picked up for at least one more season. I’m happy to see perhaps my new show of the 2012 fall season, Arrow, get an early pickup but I’m not terribly surprised to see any of the other shows on this list. Cable is nearly impossible to predict for a whole variety of reasons I’m not even going to get into here. For that reason, coming up with “certain to be cancelled”, “likely to be cancelled”, “on the bubble”, “likely to be renewed” and “certain to be renewed” lists is pretty much impossible. There are just too many factors to contend with. Instead, with cable, we have two lists – renewed and cancelled. Any shows not appearing on this list (I’m especially awaiting the fate of my beloved Bunheads) will be added when a definitive announcement has been made about whether the show will return or not. Those lists are below, once again, in alphabetical order. Like the lists we’ve already gone over, these lists will be updated as more information comes in, so be sure you bookmark the page and come back often if the fate of your favorite shows is still unknown. *Update (March 2, 2013): Here’s some good news for Drop Dead Diva fans. After being cancelled earlier this year, Lifetime has decided to bring back Drop Dead Diva for another season. This almost never happens and I’m glad to see it has. Diva was a good little comedy and while I lost track of it a little while back, I’m thrilled to know I’ll have the chance to catch up. My family and I are devastated at the news of the shows that have been canceled, only possibly renewed, and on the bubble as well! Who can we contact about changing this? We love animal practice, CSI New York, Vegas, Body of Proof, The Mentalist, & Malibu Country, Common Law, Fairly Legal, & Leverage! Castle, The Following, Revenge, are only marginally safe?!!! This is crazy!!! It seems like only fluff & filthy animations are kept by the studios! What can the viewer ( the one that SHOULD HAVE A BIG SAY IN OUR ENTERTAINMENT) do to have some SERIOUS INPUT into this insanity???!!! PLEASE advise!!! The best thing the view can do to keep a show around is to watch it live every time it airs and get as many friends into the show as possible. Talk about the shows you love with your friends and family. If you have Facebook or Twitter, promote them there. It’s ridiculous that some of these truly exceptional shows don’t get more viewers when trash television has people tuning in in droves, but sadly, the ratings are what count. I talk about the shows I love on Facebook all the time and have started what I like to call my “tv club”. It’s like a book club except instead of meeting to discuss a book we’ve read, my friends and I get together to talk about the latest episodes of our favorite tv shows. Out of the shows you mentioned, I think Revenge is the one that’s most upsetting to me. ABC moved the show to another night and it just started bleeding viewers. There is a lot of good stuff on Sunday nights (especially on Showtime and some of the cable networks) so Revenge automatically had a lot more stiff competition. I don’t think there’s honestly anything to worry about with it as the ratings are still fairly strong and it has a loyal fan base but unfortunately, it isn’t 100% safe as of yet. I would be shocked if it didn’t make it. If you’re worried about the shows that are “on the bubble” or “likely to be cancelled” you could try starting an internet campaign to save the shows you’re especially worried about. The network can’t keep them all but if you really love Vegas, for example, you could try starting a campaign on Twitter or Facebook to keep it around. I’m considering doing that myself, in all honesty. I was heartbroken when I had to update this article to put Vegas on the certain to be cancelled list.